East-Coast railroad operator CSX reported earnings of 78cents per share for their q1 2010 year, 9cents higher than expected, and revenue came in ahead also. Shares of Intel are up 94 cents or 4% in late trading, after they beat both earnings and revenue expectations. 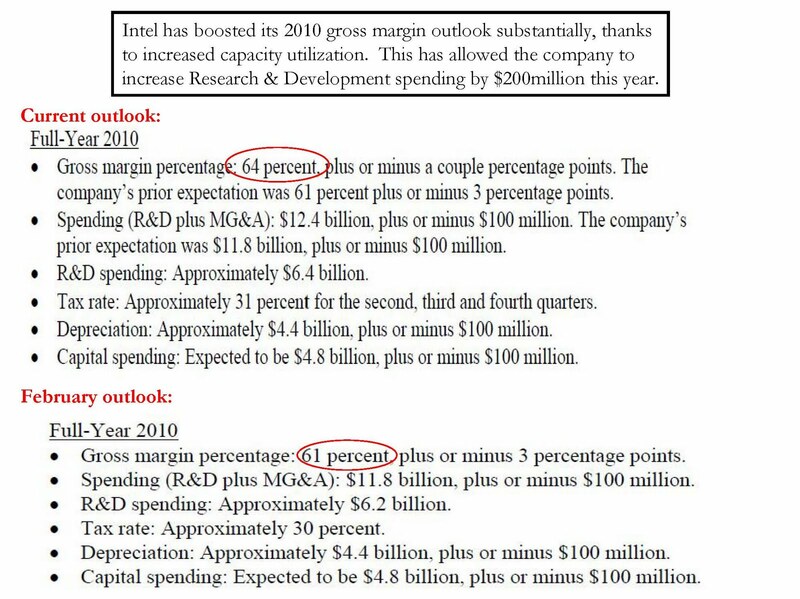 The conference call starts in 25minutes, and in the press release the semiconductor giant significantly increased their gross margin outlook for the coming quarter and the full year. Nice!